Dripping faucets have you frustrated? 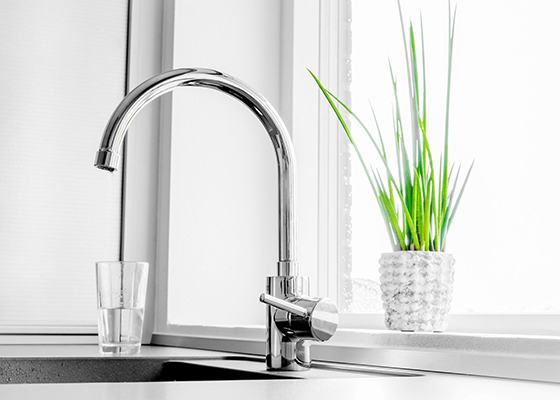 You can trust our dependable team to make short work of that faucet repair. We fix all brands and styles so you can be confident that the repair will be done right. A dripping faucet left to leak too long can cause damage to the faucet body turning a repair into a replacement so call us today to get those drippy faucets taken care of. Time for an upgrade because the 80’s called and they want their style back? We find that many homeowners love to upgrade the look of their kitchen and bathrooms by simply upgrading their fixtures. A new faucet can dramatically update the look of your kitchen or bathroom without having to completely remodel. There are lots of options on the market so ask one of our experienced staff to help show you the options and choose the right look and technology that is right for your home. We can help you with measurements, finishes and model types to suit your style and needs for years to come. When you need faucet repair and replacement services in the Phoenix area, contact the professional plumbers at Robins Plumbing, Inc. As a leading provider of residential and commercial plumbing services, we’re passionate about solving plumbing issues, no matter what they may be. Our main mission is to be the plumbing company you can trust that provides you with the highest level of service. We specialize faucet repair and replacement, drain cleaning, gas lines, sewer camera inspection and locating, commercial and residential jetting services, water treatment, and more. If you have any questions about our Phoenix plumbing company or you’d like to schedule a free estimate, contact our friendly team today.